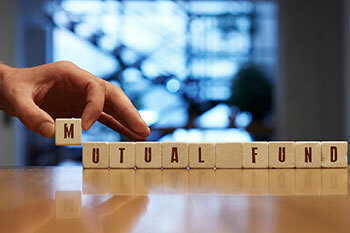 Investment options: Debt Mutual Funds or FDs? As an investor, you should know that the safety of any instrument depends on the credit rating of the instrument. Fixed deposits with an AAA rating imply that they carry the highest level of safety. Traditionally, investing in FDs has been considered a safe option by many Indian households. But with changing times, many have rightly evaluated the benefits of Debt Mutual Fund, which invests in fixed income securities such as government bonds, certificate of deposit, commercial papers, treasury bills and corporate bonds, best suited for investors with a low-risk appetite. Here are a few reasons why investing in debt Funds is better than putting your money in FDs. As an investor, you should know that the safety of any instrument depends on the credit rating of the instrument. Fixed deposits with an AAA rating imply that they carry the highest level of safety. ON the other hand, while debt Mutual Funds are not rated by themselves, their safety can be established from the portfolio they invest in. While sovereign rating indicates the highest level of safety as it is issued by the Indian government, AAA and AA rating also indicate a high level of safety as the funds are issued by banks, public sector companies and private companies. Moreover, market regulator Securities Exchange Board of India (SEBI) keeps a close tab on the fund industry. One of the ways to pick between a debt fund and a fixed deposit is to compare the returns offered by the two schemes. Fixed deposits provide fixed at an interest rate of approximately 6.5%, while the same for debt MFs hovers around 8-9%. Interest rate fluctuations can cause volatility in debt fund although they are very safe investments. There is a difference on the tax liability the two schemes attract based on the time duration for which each of the schemes is held. The returns from FDs are considered as interest income and are added to an individual’s normal income. An individual whose income comes in the tax bracket of 30%, tax takes away a large chunk of his returns. The tax rate is same for debt funds held for less than 36 months. But if debt funds are held for more than 36 months, long term capital gain is applied and the returns are taxed at 20% with indexation. Fixed deports can be liquidated in 2-3 days, but there is a penalty for withdrawing FDs before the maturity date. On the other hand, the proceeds of open-ended debt funds are credited to an individual’s bank account in 2-3 days. Some debt funds may charge an exit load, which is usually 0.25% if you withdraw within a certain period of time. Let us understand it with an example. Mr. Anand has invested Rs. 1 lakh each in a Bank FD and Debt Fund for a period of 3 years and 1 day. The expected return for both these investments is 7.5%. Which investment will give him a better post-tax return?